3 . When connected successfully, the tablet will indicate that and the BT LED will be off. 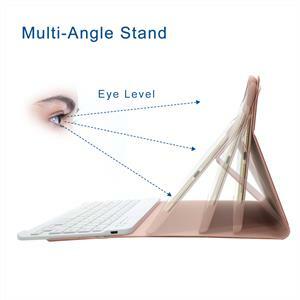 Multi-angle adjustments to meet your visual needs,make you more comfortable while watching movies or typing. Precise cut-off provides full access to all ports and feature, offers durability, strength and protection for your iPad to keep scratches and splashes away. Great little keyboard and case! The fact that you get a case and keyboard for this price is ridiculous!This is a much better keyboard case than the "universal" one I bought (and returned) from BestBuy. The keyboard connects easily and I love the ability to move the keyboard where I want to and the option to remove the keyboard all together. I was afraid the keyboard might scratch the tablet screen when closed but so far no issues with that. 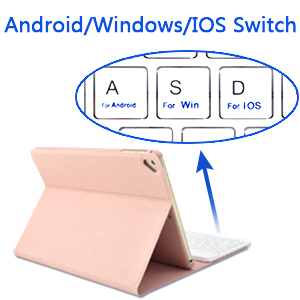 The built in keyboard funtions are a nice bonus.Overall I would recommend this keyboard case. I got this for my new iPad and I love it! The keyboard connects so easily, the case is very protective and serves well for what I need it for. The color is very pretty! Must be fully charged before you attempt to pair or it will just give you errors, hoping to save you some frustration. Beautiful case (I have the Rose Gold). Once paired the first time, use is a breeze and so far no issues. Needs charged nightly. This is the best! Great value,for the price you can't complain about it! 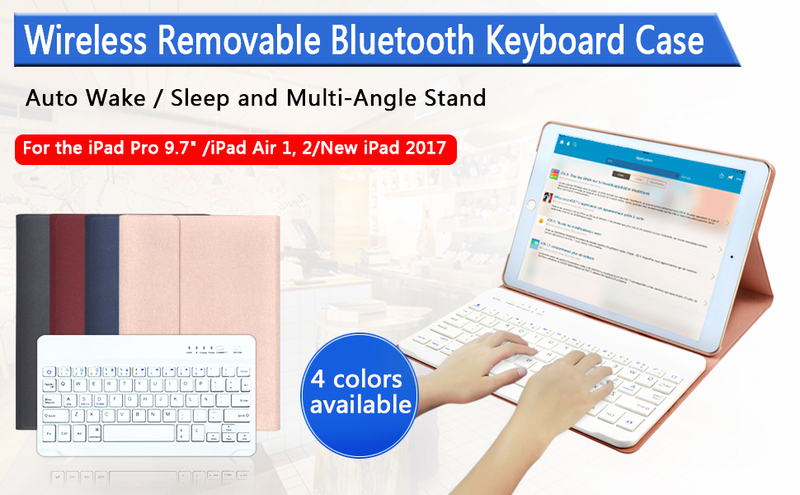 I love the keyboard,the keys are laid out well,and it's easy to use.This is me first time to purchase the ipad case with keyboard,it's totally like advertised decried,and it's not heavy! I love it! 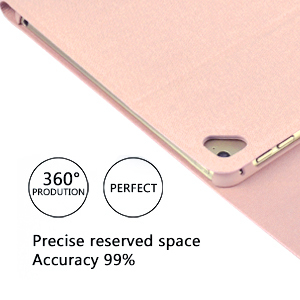 This COO case specially designed for Apple iPad Pro 12.9 inch Tablet 2015 Edition , Not Fit for Other Ipad tablet. This COO slim shell case made of Premium Synthetic Leather with microfiber cloth and rigid polycarbonate back shell will perfectly protect your Apple iPad Pro 12.9 inch Tablet and looking good for long sessions. The super design allows for full access to touch screen, side buttons, charging, headset and camera ports. 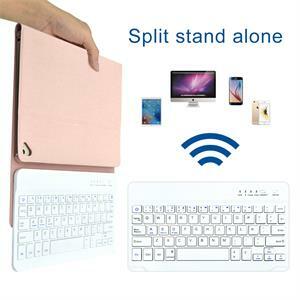 Built-in Multi-folding stand : so you can easily watch movies, play games and online chatting. Special outcut for charging cable on the case, no need to open the case or take out the tablet when charge for your tablet. This COO new Case is the perfect choice for those who want a stylish and affordable way to protect their iPad Pro Tablet .